Australia during the summer season is truly a period of bliss. Renowned for warm weather, clear skies, and long hours of daylight, it is the perfect time to go for a walk. 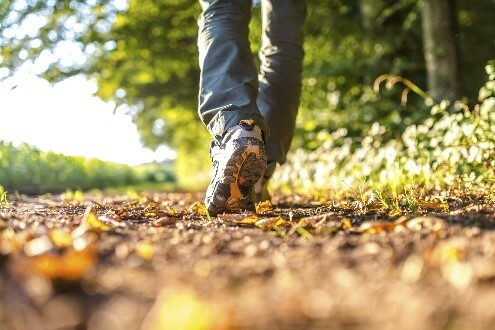 Walking is a great low-impact, cardiovascular exercise with a plethora of benefits for your back, spine and discs, posture, and overall wellbeing. Check out the list below to see why many chiropractors encourage their patients to go for walks as opposed to staying sedentary. When you stop engaging in regular aerobic exercise, simple tasks such as bending over to tie your shoelaces can become arduous. By walking just 30 to 40 minutes, 3 to 7 days a week, one can improve their ability to perform such tasks as their day-to-day functional capabilities are maintained. Walking increases the stability of the spine and conditions the muscles that keep the body in the upright position. Walking in addition to regular stretching encourages a greater range of motion which can help prevent awkward movements and the susceptibility of future injuries. This is especially the case for those who work in offices and spend hours seated, looking at monitors or phones. Being low impact, walking can relieve the tension that is built up in the lower back area. Going for a walk can take place in any location, at any time, without any cost! Whilst walking is a great way to improve your spinal and back health, if your posture, mobility or flexibility continues to deteriorate, it may be time to venture into chiropractic care. Using postural correction (Advanced Biostructural Correction) and Trigenics (Musclar Release Technique), Dr. Yoon can help improve your everyday functional capabilities. To make an appointment with us at SpinalCare Chiropractic Sydney Olympic Park, call us now on (02) 8964 6385 or book online at https://www.spinalcarechiropractic.com.au/makeabooking/. Newer PostDon't forget to stretch! Older PostKeep your back in check this holiday!